Up there with my albums of the year last year, was Fvzz Popvli’s debut Fvzz Dei, so no surprise then that I was suitably stoked when I found out this Italian fuzz rock trio have belted out another album for us fuzz-addicts’ insatiable thirsts. Magna Fuzz (The Great Fuzz) literally does what it says on the tin. This short but sweet album takes you on an astral journey through seven tracks of fuzz-laden psyched-out rock. Opener “And Let Die” seduces you in with an infectious scuzzy riff, caterwauling vocals and a face melting solo – ladies and gents, Fvzz Popvli have entered the room. Their more rock ‘n’ roll vibe flows throughout second track “Napolean”, a rude bass leads the way, heavy and enchanting it swaddles Osbourne-esque vocals and has all the sass of Hendrix’s “Foxy Lady”. This spills over nicely into corpulent “The Deal” lending itself to a more garage rock sound, the guitars get heavier, the bass filthier and an outro that you just have to rock out to. Trippy “Get Me” comes as a welcome breather but is by no means an album filler. The band experiment more with their sound in “Rvmpeltvm”, effects-laden and harsher guitars will appeal to heavier rock fans which then bleeds nicely into “Cherry Bowl”. A garage punk rampage using flanger effects in abundance producing a spacey, textured, psyche-rock sound which I think is where Fvzz Popvli really shine. 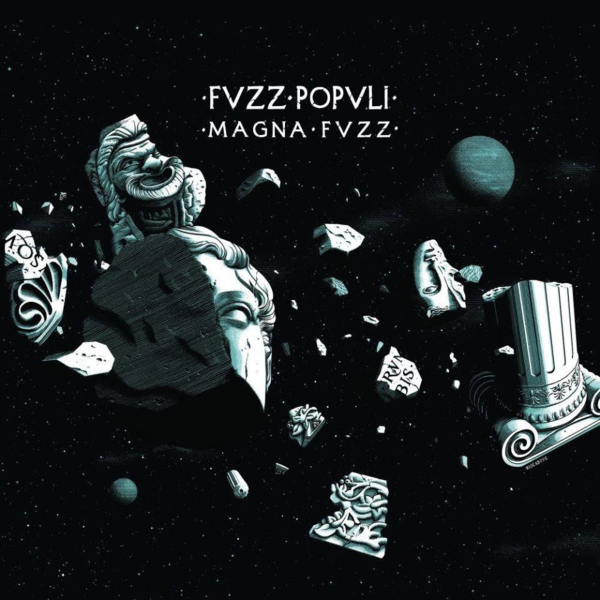 Very much like on predecessor Fuzz Dei, album closer “Magna Fvzz” is a 12 minute boisterous frolic encompassing everything that is great about this band. It has a ‘recorded live’ feel that layers and builds effects and distorted guitars with frenetic drumming and fleshy riffs. Three quarters in, an atmospheric synth-infused bridge makes way for a formidable instrumental slaying – superb stuff! Fvzz Popvli are stamping their feet firmly in the fuzz-rock ground with this accomplished sophomore album.